This is a softcover spiral-bound book of charted designs for Blackwork embroidery. 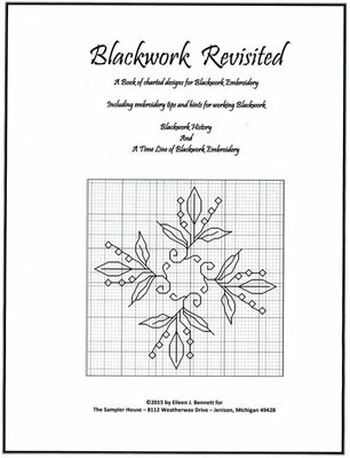 It has over 56 pages and 43 plates of Blackwork designs. It also includes Blackwork history, an historical time line, basic information before beginning to stitch, a 3-page bibliography of Blackwork and a special Blackwork project.